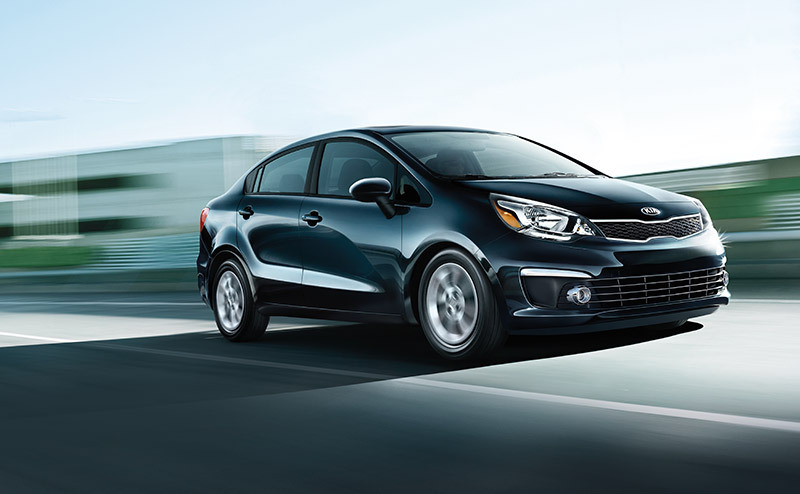 The Kia Rio is a fun subcompact car that offers a surprisingly spacious interior and plenty of exterior style. 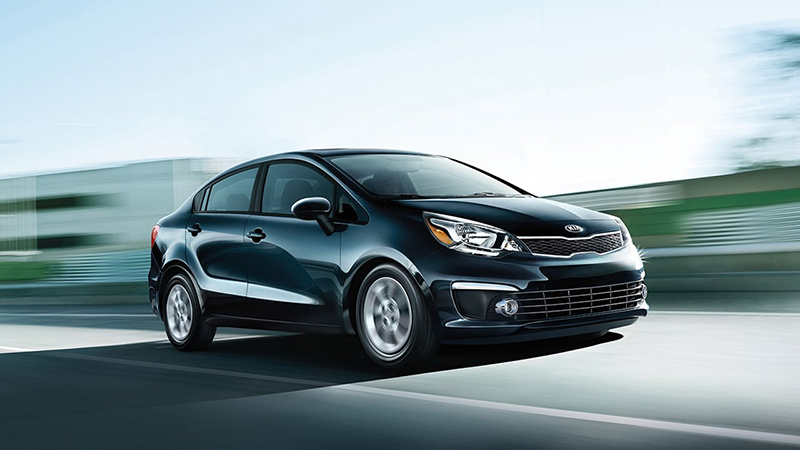 If you're looking for an efficient car that also offers an exciting drive, get behind the wheel of a Rio. 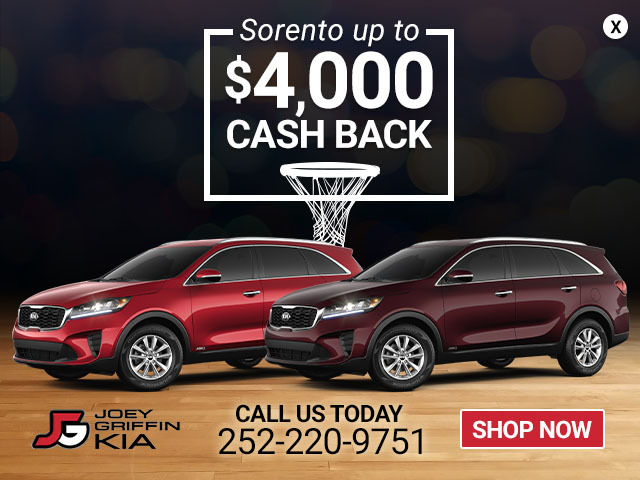 See it today at Joey Griffin Kia in Rocky Mount. 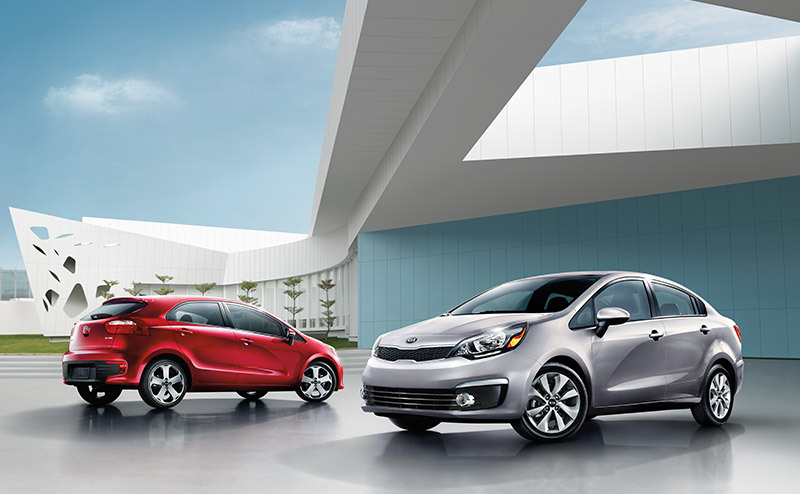 The Kia Rio comes in three trim levels: LX, EX, and SX. On every trim level, you'll find standard exterior features such as body-color door handles, dual body-color power and heated side mirrors, halogen headlights, a locking fuel door, and solar control glass. Step up to the EX model and you'll also get front fog lights. 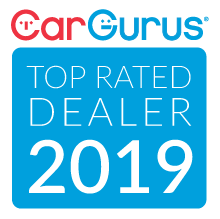 Or go with the SX model and get everything the previous trim levels have plus built-in turn signal indicators on the side mirrors, power-folding side mirrors, a power sunroof, and automatic headlights. 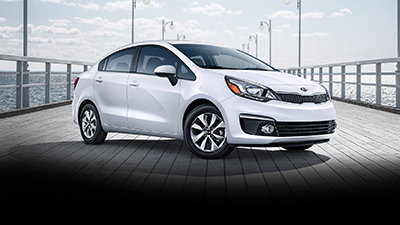 Every trim level of the Kia Rio comes with a 1.6-liter, 16-valve engine that gets 138 horsepower and 123 pound-feet of torque. Although all trim levels come standard with an electronically controlled six-speed automatic transmission with Sportmatic, the LX also has an optional six-speed manual transmission. 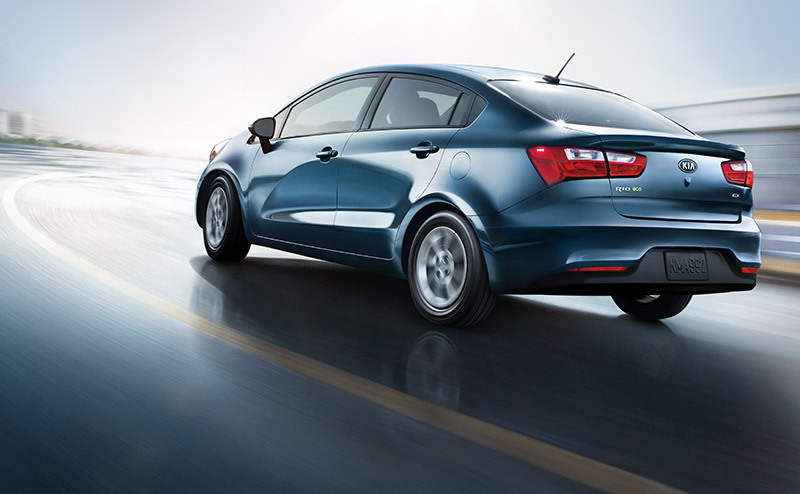 With the six-speed automatic transmission, you'll enjoy an EPA-estimated 27 mpg in the city, 37 mpg on the highway, and 31 mpg combined. 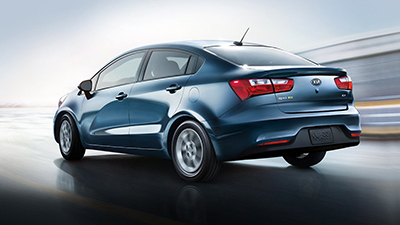 One exciting feature that comes with every Kia Rio trim level with automatic transmission is Sportmatic. 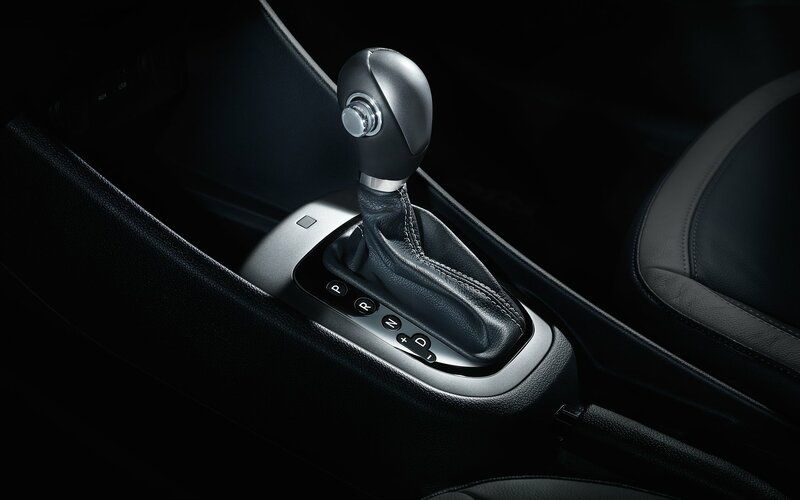 With Sportmatic, the convenience of an automatic transmission will always be there for you, but if you ever want to experience the control and sportiness of a manual transmission, you can manually shift gears without a clutch. Simply move the shifter into place, then push it up or down depending on which direction you want the gears to change. 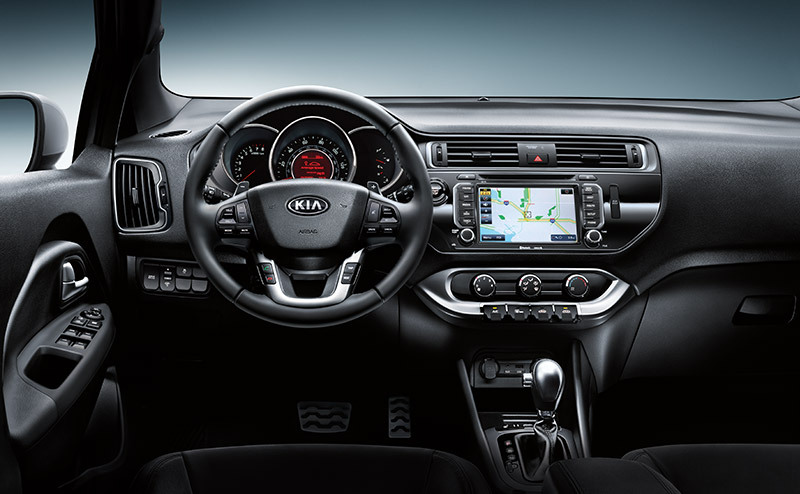 Climb inside the Kia Rio LX and you'll find standard features such as steering wheel with mounted audio controls, air conditioning, woven cloth seats, six-way adjustable driver's seat, illuminated glove box, 60/40 split-folding rear seat, and audio system with AM/FM radio, CD player, auxiliary input jack and four speakers. 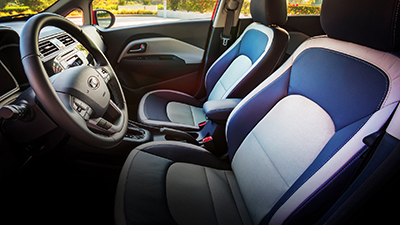 Go one steop up to the Rio EX and you'll get an additional two speakers with the audio system, as well as Bluetooth wireless technology, cruise control buttons mounted on the steering wheel, power windows, power door locks, LED map lights and premium cloth seats. 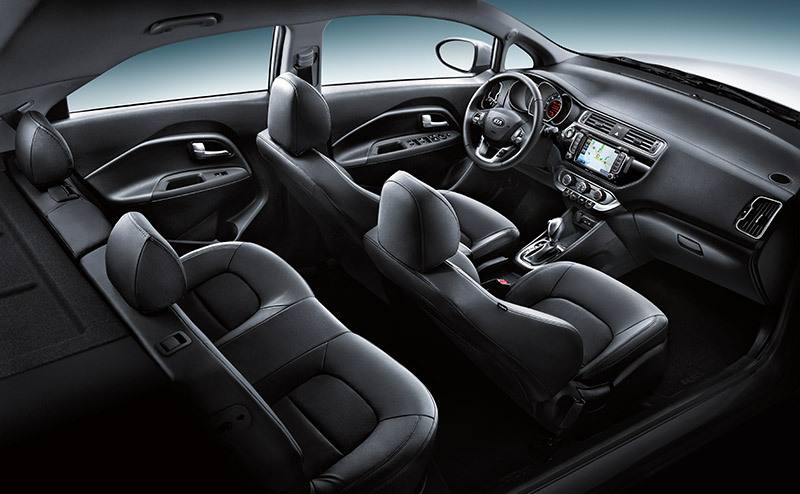 Finally, go for the top-of-the-line Rio SX and take advantage of all the previous conveniences plus a 7-inch color touch-screen display, rear-camera display, push-button start, steering wheel-mounted paddle shifters, leather-trimmed seats and heated front seats. 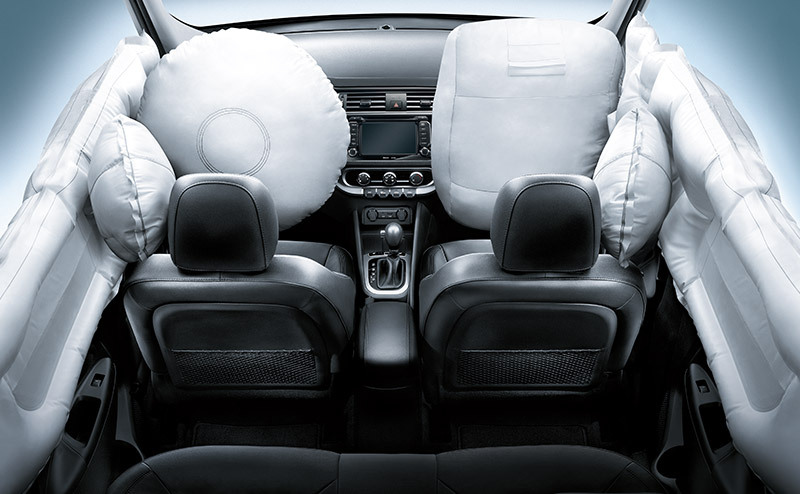 No matter which Kia Rio you decide on, you can drive with the assurance that there are plenty of active and passive safety features keeping you and your passengers secure. 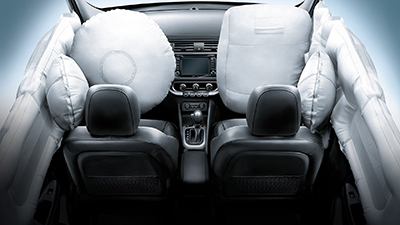 Every Rio comes standard with front air bags, seat-mounted side air bags, side curtain air bags, four-wheel anti-lock brakes, vehicle stability management, electronic stability control, hill start assist control, electronic brake-force distribution, front and rear crumple zones, side-impact door beams, seat belt pretensioners on the driver and front passenger seats, three-point seat belts on all seats, and a tire pressure monitoring system.